1. Brothers act with strength and firmness in waiting for the Lord. A period of great tribulations and afflictions in which great dangers and temporal and spiritual discomforts will occur; the charity of many will grow cold, and the malice of the wicked will abound. 3. While the scandals will multiply, our religious congregation will be divided among others which will be completely destroyed, because their members will not oppose but will consent to error. 4. There will be such diversity of opinions and divisions among the people and among the religious and the clergy that if those evil days were not shortened, as foretold by the Gospel, even the elect would fall into error (if possible) (Mt 24:24), if in such a storm they were not protected by the immense mercy of God. 5. Then our Rule and our manner of life will be violently attacked by some. Terrible temptations will arise. Those who will overcome the great trial will receive the crown of life. Woe to the lukewarm ones who will place all of their hope in the religious life, without firmly resisting the temptations permitted for the proving of the elect. 6. Those who in spiritual fervor will embrace piety with charity and zeal for the truth, will suffer persecutions and insults as if they were schismatics and disobedient. Because their persecutors, urged on by the evil spirits, will say that in this way they render a great honor to God in killing and removing from the face of the earth such pestilent men. But the Lord will be the refuge of the afflicted and He will save them, because they hoped in Him. And then in order to respect their Head, they will act according to the Faith and they will chose to obey God rather than men, gaining for themselves eternal life; they will fear nothing, and they will prefer to die rather than consent to error and perfidy. I, Father Joseph Dwight, translated this document from an Italian translation in November 2013 (http://www.agerecontra.it/public/press20/?p=12166). 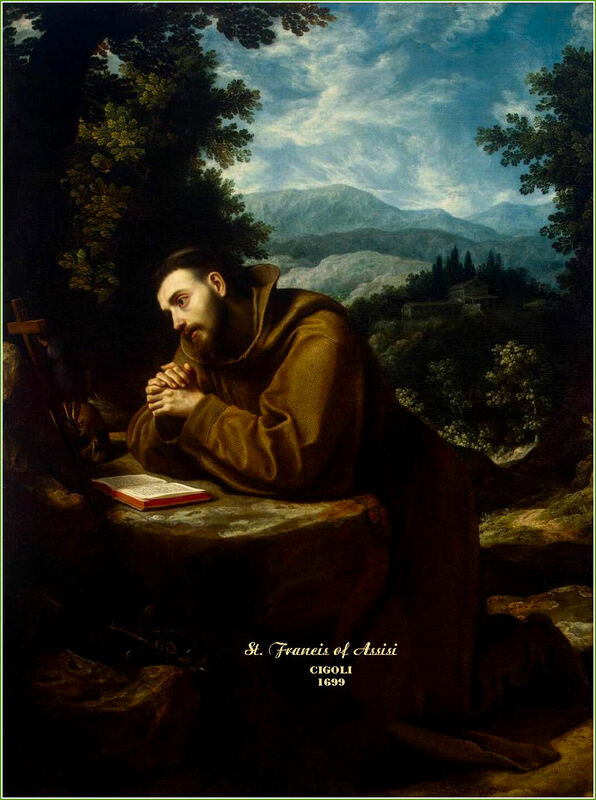 One can also find another translation in English: “Works of the Seraphic Father St. Francis Of Assisi”, Washbourne, 1882, p. 248. (http://twoheartspress.com/uncategorized/st-francis-prophecy-of-the-false-pope/).